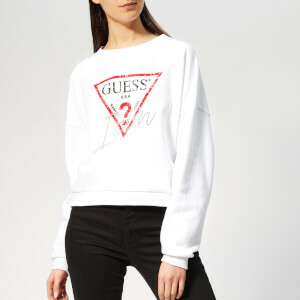 Exuding Puma’s signature sporty retro vibes with contrast panels and piping along the shoulders and outer sleeves, the women’s ‘Chase’ sweatshirt showcases a classic crew neck construction with rib-knit trims. Crafted from a soft cotton-poly blend, the pullover features long sleeves with dropped shoulder and an external drawcord hem for a snug, adjustable fit. Adorned with Puma branding at the front.